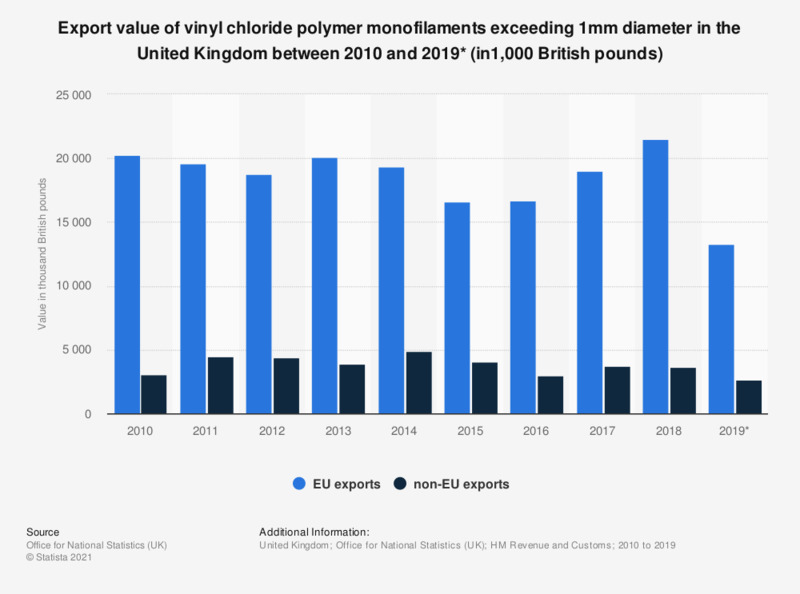 This statistic shows the value from EU and non-EU exports of vinyl chloride polymer monofilaments exceeding 1mm diameter in the United Kingdom between 2010 and 2018. EU exports of vinyl chloride monofilaments reached a value of nearly 19 million British pounds in 2017. Monofilament with any cross-sectional dimension exceeding 1mm, rods, sticks and profile shapes of polymers of vinyl chloride, including surface worked but not otherwise worked. Statistics on "Plastic waste in the U.S."